This online Bachelor of Sports Business (Leadership) course from ACPE trains students to have a detailed understanding of how sports businesses operate. The course covers essential areas such as marketing, management and administration, as well as finance and accounting. 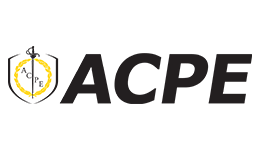 ACPE teachers and lecturers are leading practitioners in the field and bring real-life experience to the table, so students are taught up-to-date industry practices and have a unique insight into the sports sector. Cover sports business in both national and international contexts and prepare to work in an ever increasingly globalised economy. Upon successful completion of this course you will receive a nationally recognised, accredited Bachelor of Sports Business (Leadership) from the Australian College of Physical Education. This degree will help launch your career in the sports business industry. Graduates can go on to work with a range of elite sports organisations ranging from the Sydney Swans and Cronulla Sharks to NSW Hockey and Surf Life Saving Australia.